The weather is colder...again...yuck! 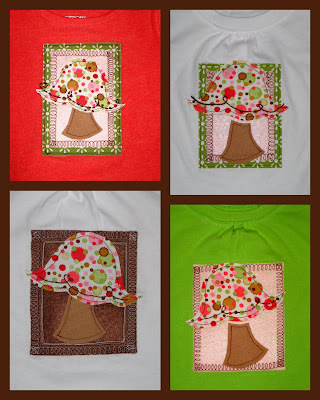 It was rainy yesterday so I started designing a new mushroom shirt. 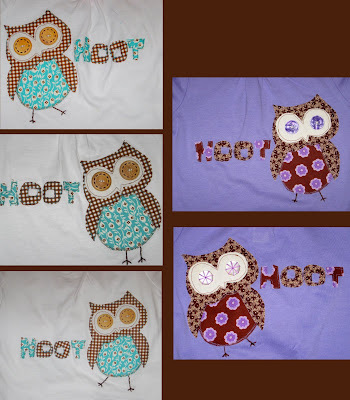 I also put the finishing touches on some owl shirts I sewed last week. This afternoon and evening I assembled and completed four new shirts. While sorting through the creating process I poured over some Close to My Heart magazines. Amelia later copied me laying on the floor oowing and ahhing over cute ideas. I love, love how all the shirts turned out. Now I only have 13 more shirts left to decorate before my stash is depleted. I am glad that my original investment is not going to waste. 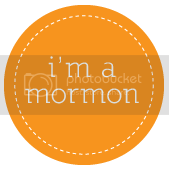 Next step is to sell them!! Some ladies got together last night to celebrate Alison's birthday (she has the little girl Amelia's age). Amelia went with me since Justin is working late, late hours. Amelia packed down an entire box of Mac N'Cheese (amazing) before dinner. She still ate part of my sandwich and some fries. I sort of felt like a fish out of water since all the ladies knew each other quite well and talked about people I do not know. Sometimes I feel really awkward in social situations. I function more comfortably in smaller groups, for example, 2 people of less. I am not a conversation manipulator!! LOL. Still it was fun to listen to everyone banter and tell stories. Amelia has a nose for chocolate. I am NOT a chocolate lover, but my child can smell chocolate from a mile away. Yesterday she found a mint 3 Musketeer's bar I hid for emergencies. Last week I bought her a little stool to use as a table for play dough. While busy with my hair she took her table went straight to my emergency drawer, ferreted my chocolate bar, gnawed through the wrapper, and sucked the chocolate out! When I discovered her, she was so proud of herself! Her exclamation was: "ummm, yummy!" She must be related to Aunt Raquel! !